Mackie pride themselves on their ‘built like a tank’ ethos. 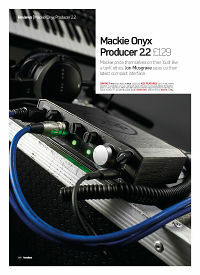 Jon Musgrave sizes up their latest compact interface. ID: 422472 © 1996–2019 Thomann GmbH Thomann loves you, because you rock!